In not altogether comfortable with this formulation. It comes worryingly close to saying that the older men gave wise advice because they were older,and the younger men gave foolish advice because they were younger. What I see, rather, is that the older men proved themselves wise by giving good advice and the younger men proved themselves foolish by giving foolish advice. That’s important, because otherwise we wind up saying that the counsel of older people is always right by its very nature; and that’s a recipe for nothing even changing. We would, for example, have had no reformation if Luther had assumed up front that his elders were also his betters in wisdom. 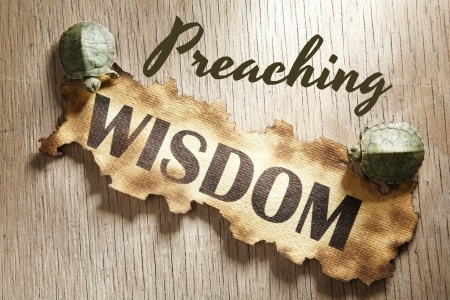 So we need to look elsewhere for the signs of wisdom … which is hopefully what the rest of the series will be about. Hi Mike. Absolutely yes, I couldn’t agree more and I think the context of 1 Kings 12 confirms what you’re saying. I didn’t mean to make a blanket statement there! But the point I was trying to make, is that I think what we often overlook the biblical mindset, where wisdom is expected to come with age and with the increased opportunity to “taste and see that the Lord is good” that that brings. Of course, as you point out, this is not always the case (Ecclesiastes 4:13) but this is regarded as something of a tragedy. Thanks, Huw, it seems we’re in complete agreement after all — especially on your last paragraph! Looking forward to the rest of the series.